Believe it or not, as many as 251 sedition cases were filed against individuals and organizations in Assam during the tenure of the present BJP led government in Assam. Assam parliamentary affairs minister Chandra Mohan Patowary said this while replying to a question by Congress legislator and leader of the Opposition Debabrata Saikia on Monday. Giving details about the cases, Patowary said that the sedition cases have been filed against ULFA(I), NDFB (S), NDFB(B), KLO, NSLA, NSLA(AT), UPLFS, DHD, DHNA, NSCN(IM), ZUF and ATF among others—all militant outfits operating in different areas of the state. While Kokrajhar district has recorded registration of the highest 88 sedition cases, 43 cases related to sedition were registered in Chirang district of Assam. The Tinsukia district of eastern Assam also registered 40 cases of sedition, the minister replied. The cases were registered since the BJP led government came to power in Assam in May 2016. 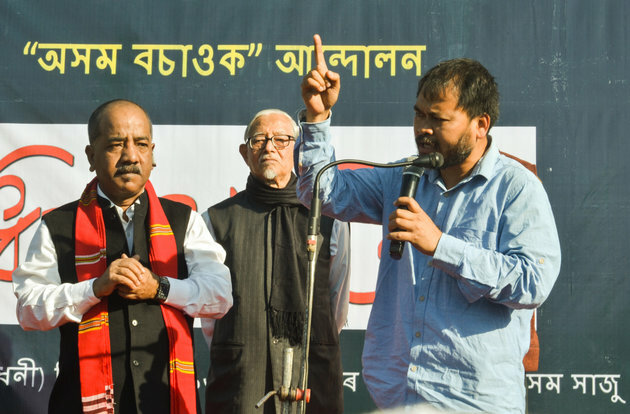 While two cases of sedition were registered against Krishak Mukti Sangram Samiti (KMSS) chief Akhil Gogoi, the government has recently registered sedition charge against renowned scholar Hiren Gohain and journalist Manjit Mahanta.